For a new or used Chevrolet vehicle, visit Sunrise Chevrolet, your premier Chicagoland Chevy dealership. We offer the newest Chevrolet models, and our expert sales staff will help you find the perfect new or used vehicle for your lifestyle. See our extensive selection of new and used Chevrolet cars in stock, and get a price quote today! Sunrise Chevrolet offers excellent customer service, a friendly environment, attractive financing options, and great cars. Sunrise Chevrolet is not just your best choice of Chevrolet dealership, we also provide a full line of services dedicated to our Illinois customers. 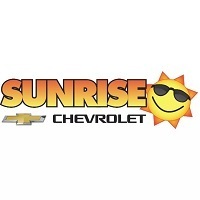 If you're looking for one of the best Chicagoland car dealers, look no further than Sunrise Chevrolet. Pick up the phone and give us a call, or come on out and see us today!